RALPH COSTI PASSED AWAY LAST NOVEMBER IN PARIS DUE TO ILL HEALTH. 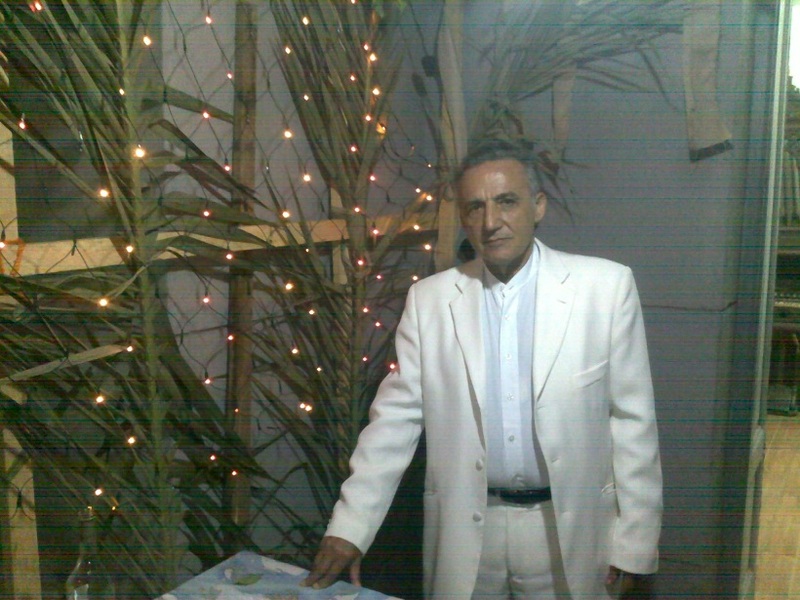 Ralph was one of those Egyptian refugees who left in the 1950s after being arrested as a leftist. Later he worked as a journalist in Paris giving him the opportunity to return to Egypt as a correspondent for the AFP. In 1988 the JCC chose him as Vice president during the presidency of Emil Rousseau. As a member of the Goutte de Lait benevolent Society we worked together to save Bassatine Cemetery. He and his wife Vicky remained in Egypt till the late 90's. After Vicky died in Paris Ralph, due to ill health, shared his time between France and Switzerland. Glorice Weinstein, herself a resident of Geneva remained in close contact with Ralph. Below is a touching poem written by Glorice for Ralph. Pr�t � les aider quand il le fallait. Cairo is unlike any place I have visited. I live in Cleveland, Ohio, but because of my son�s work, I have been to Damascus, Aleppo, Beirut, Amman, Aqaba, Petra, and a few other places. I also have spent a bit of time in Moscow, St. Petersburg, Havana, London, Rome, Calais, Paris, Nice and Cannes. But Cairo is unique among them all. Within 90 minutes of my arrival, I experienced the city�s overwhelming air pollution and was astonished by the piles of trash that are seemingly everywhere. As for the drivers on the city�s streets, I can only compare them to racecar drivers I�ve seen on television, as both are constantly jockeying for the �lead� position, weaving in and out of traffic without warning. Conditioned as I am to traffic signals and lane markers, I saw few of either to ease the flow of battered vehicles or silence the constant honking of car horns. As I reached my destination, my driver, Osama, briefly got out of the van, but he left it in gear and I started to roll backwards into a crowded roundabout. The driver quickly realized his error and mercifully stopped the van, saving his vehicle and my neck. What an introduction to the city! But, enough of my cynicism. Let me tell you what I like about Egypt. First of all, the people (except those trying to sell me something) are gracious and kind. Our tour guide to the Giza Pyramids, the Sphinx, various churches and mosques, Khan al Khalili and the Egyptian museum was outstanding. Funny and well informed, he laughingly said he does not go shopping with his wife, but he accompanied us to a few shops in the khan to purchase the obligatory T-shirts to take back to loved ones in the U.S. 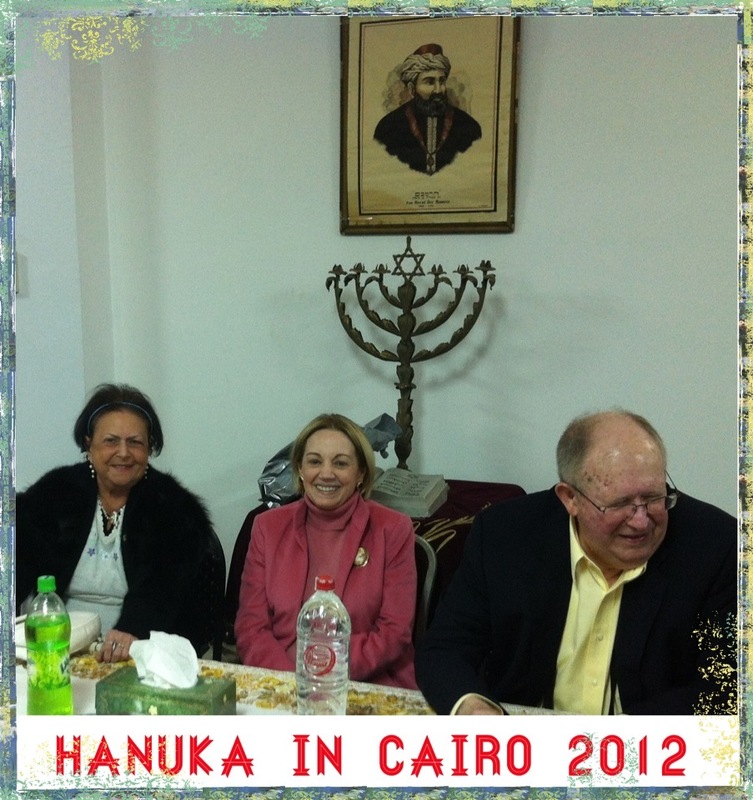 The Jewish community of Cairo embraced me upon my arrival. 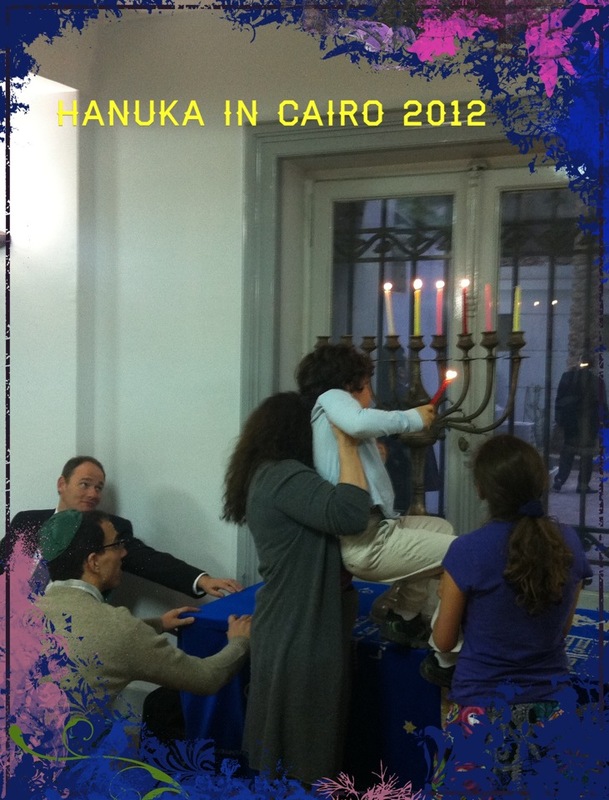 My son, a Cairene for only a few months now, met two sisters at the annual Chanukah celebration at Shaar Hashamayim and we were promptly invited to supper a few days later. As we left, I walked arm in arm with one of the sisters until we parted in opposite directions. 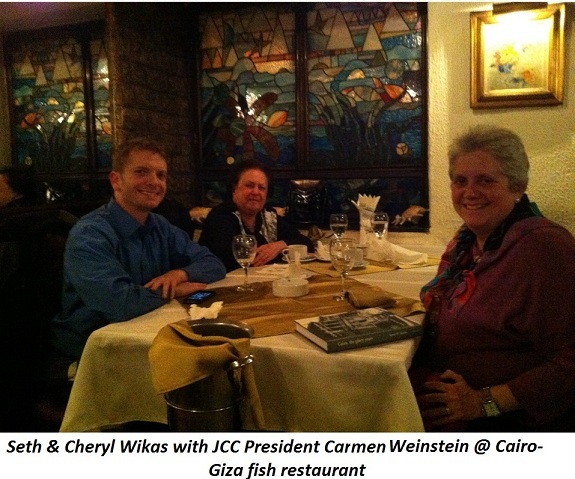 A few nights later, the grande dame of Cairo�s Jewish community, Carmen Weinstein, took us to dinner. What a special lady! 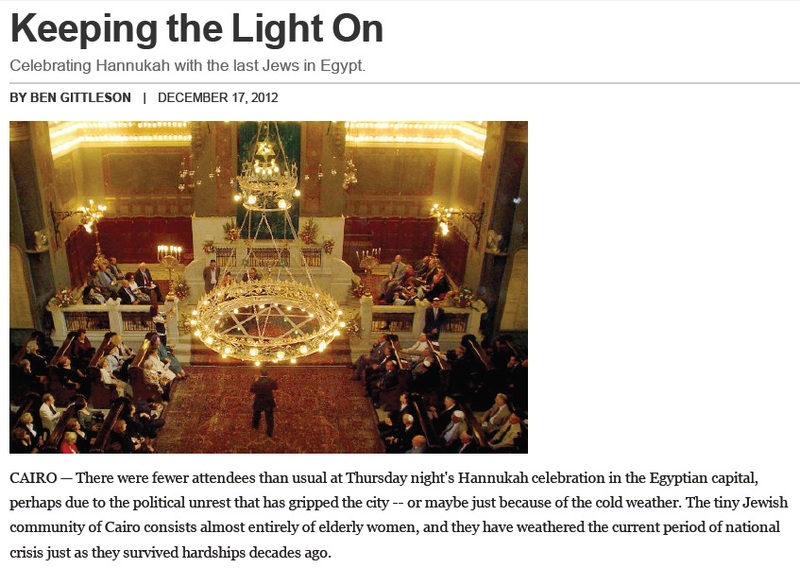 Cairo�s synagogues deserve special mention. I will not soon forget the wondrous stained glass windows at Shaar Hashamayim with its beautiful and sacred courtyard; the Ben Ezra Synagogue which housed the Geniza; or the Maimonides Synagogue deep in the heart of Old Cairo. I loved all of it. Next we traveled to Alexandria and its environs. I sought out Jewish head stones at the cemetery at El Alamein. A solemn yet beautiful memorial to the sanctity of fallen heroes and the value of democracy, we lingered there for some time. 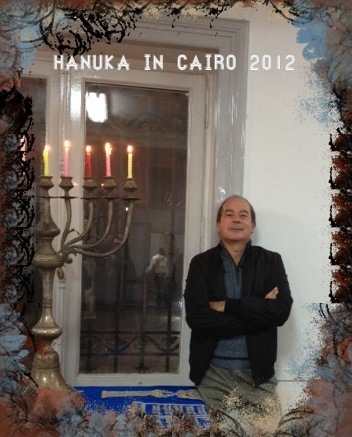 The Eliyahu Hanavi synagogue in Alexandria is comparatively �young� as compared to several of those in Cairo, since it was built in 1836. What a beauty. Now used only a few times a year, I was mesmerized by the dozens of Nerot Tamid (eternal lights) on the bima that have been gifts from a multitude of donors. The kindness of the president of the Jewish community of Alexandria in opening the building just for my son and me will not be forgotten. The folks at the spectacular library in Alexandria were also very kind. Free tours are available upon request. The architecture of the biblioteca and its exhibits are extraordinary. I am now back in the United States, but despite media warnings and a few roadblocks (literally) caused by demonstrations during my visit, I plan to return. 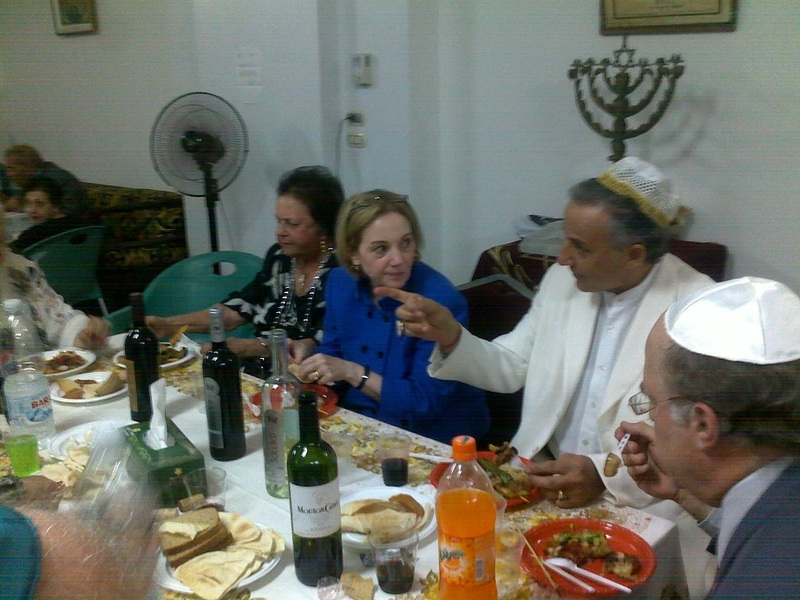 I understand why the few remaining Jewish people chose to stay in Egypt when thousands left. I actually asked several people that specific question. Egypt is their home and they love their homeland. I can see why that is so. 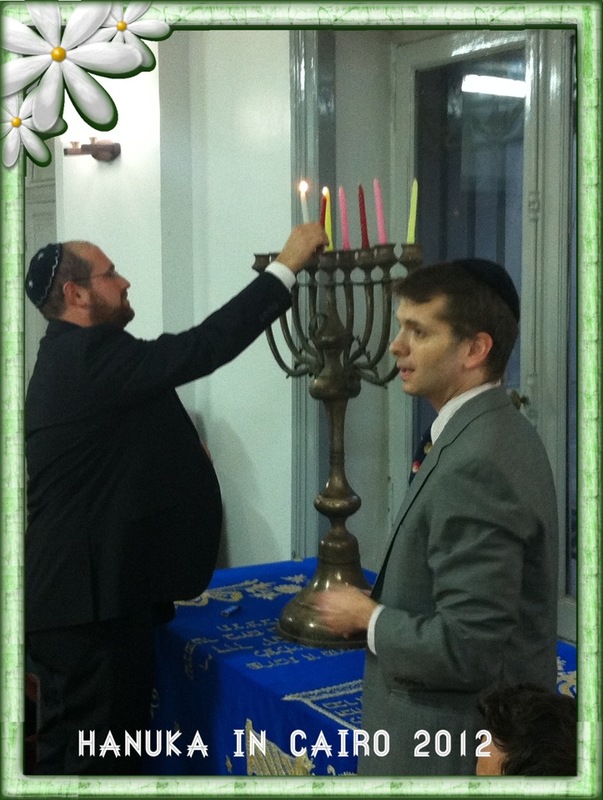 Hanukah 2012 was celebrated on December 13 at Shaar Hashamayim's community hall with members of the US embassy and Students Abroad program in attendance along with several members of the JCC. 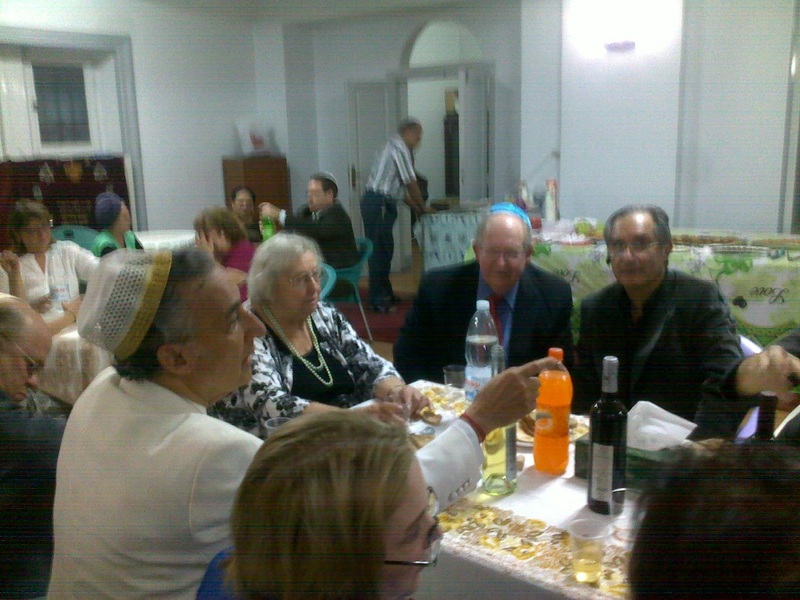 The JCC was pleased to welcome Christian and Muslim guests including US ambassador Ann Patterson. A VERY special thanks to Seth Wikas for the rallying of this year's event. 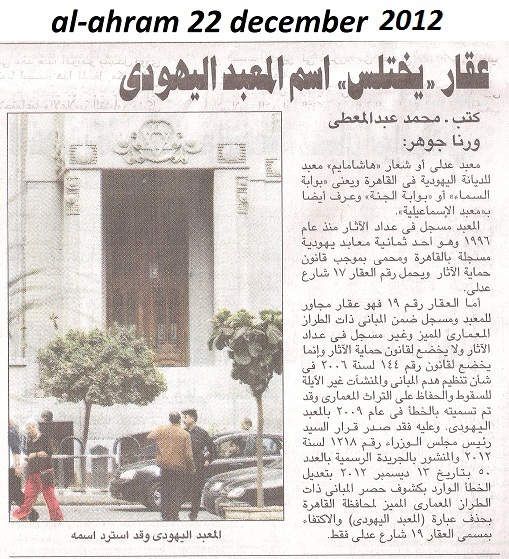 On 13 December 2012 a prime ministerial decree (1218/2012 ) was published in the Official Journal as follows: �The Government is changing the name of a building on Adly Street from �Jewish Synagogue� to �Number 19�."  No further elaboration was given since none are usually given in cut and dry decrees. None of the media bothered to consult with the JCC, or with the Council of Ministers for that matter, in order to get a clarification of above decree. On the other hand, the Ministry of Antiquities put out a statement on 19 December clarifying the situation, which of-course received minimum attention. Ironically, it was the same rabid newspaper that bothered to publish it. Below is the Bassatine News edited version of the Antiquities statement (appearing in box below). In 2009 the Ministry of Culture conducted a survey of Cairo's downtown buildings in an effort to identify buildings with unique character or history. Among those surveyed was No. 19, a building bordering Shaar Hashamayim. In the ministry's subsequent report No. 19 was erroneously described as "Jewish Temple" whereas it is an ordinary residential building with its ground and first two floors leased to a commercial bank. 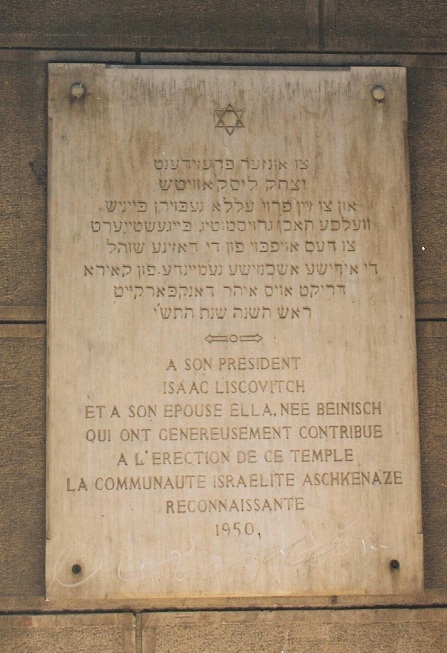 Thereafter the building was listed as �Jewish Temple� in most official documents. The prime minister's decree was a simple rectification of that mistake and nothing else should be read into it. 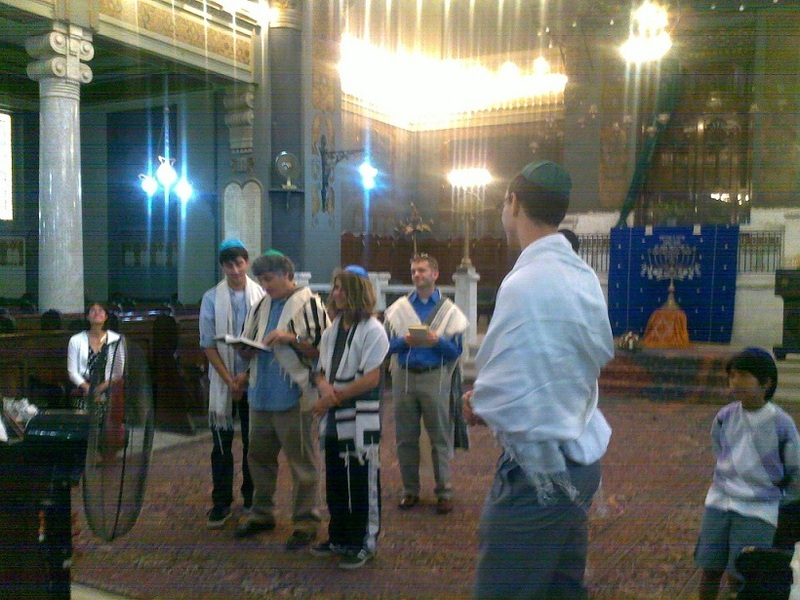 As for Shaar Hashmayim, it shall continue to be referred to as �Jewish Synagogue� (or No. 17). Rest assured the JCC is vigilant and alert in all matters concerning its assets and heritage. Next time, and here BN is referring those alarmists who quickly relayed the rumor in many foreign capitals, PLEASE CONTACT THE JCC BEFORE you jump to conclusions based on dubious media reports. Remember that old adage �The reports of my death were greatly exaggerated.� The same can be applied to the above. Under the title "Building appropriates Jewish Temple name" Egypt's leading quasi-government daily repeats the Antiquities explanatory statement. 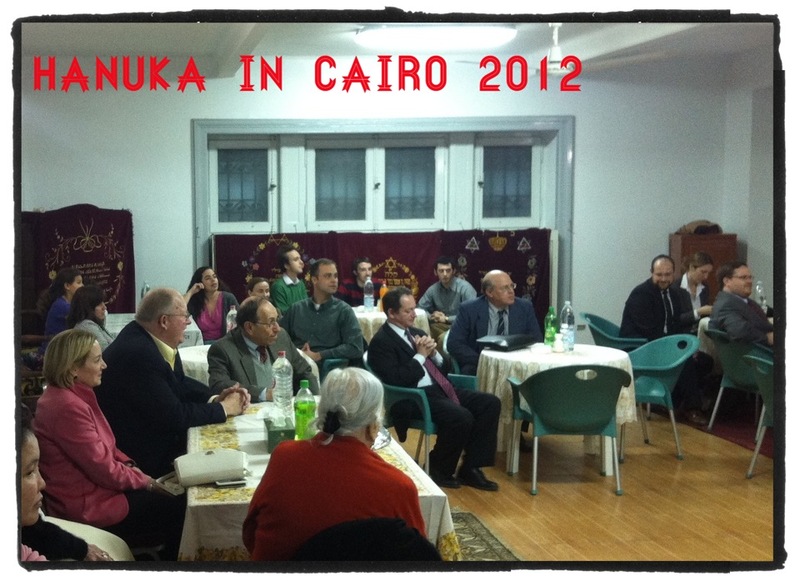 Subject documents DO NOT belong to nor were they ever in the possession of the Cairo or Alexandria Jewish Communities. Said documents do not concern us, as some Egyptian papers hastened to publish in the wake of corresponding information appearing in Israeli papers. Documents relating to assets belonging to Egyptians, Greeks, Italians, Britons, Jews, Muslims, Christians etc., sequestrated or nationalized during the reign of President Gamal Abdel Nasser were originally stored in the Ministry of Finance. Old and expired documents of this nature usually end up in a discarded basement or attic, whichever, belonging to the ministry in question. The shipping company that was to send these documents abroad claims it was "a foreign woman who brought 13 cases to be shipped by air to Jordan." The company has NO IDEA whether or not she was acting alone. The matter is still being investigated. When we are informed of the result we shall let you know. Meanwhile, save time and money and do not phone the JCC since we know nothing about the inner details of this story. Meanwhile, all the best to all Journalists. God bless them for ALWAYS reporting the truth, the whole truth and NOTHING BUT the truth. And to those tardy journalists who are still calling about the religious holidays �That were cancelled,� please read Issue 31 of this website "Bassatine News." "About 50," is my usual reply to all those who ask "How many Jews remain in the Community?" When you are on your deathbed and wish to be buried in Bassatine. When in order to get a new posting, like Boutros Boutros-Ghali and the UN, then it "suddenly" comes out that his spouse is Jewish born! If you are a doctor or engineer seeking to work in the US or Canada. Which is why I believe this piece by Scott Simon on Cardinal Lustiger supports my point of view. Although nothing to compare with the time factor... but then fear remains an immortal PIECE of mind. There used to be a joke in Paris. What is the difference between the Chief Rabbi in France and the Cardinal of Paris? Jean Marie Cardinal Lustiger was buried yesterday. He died this week of cancer. He was born almost 81 years ago to Polish parents who ran a dress shop in Paris. When the German army marched into their city, his parents sent him and his sister into hiding with a Catholic family in Orleans. Their mother was captured and sent to Auschwitz. 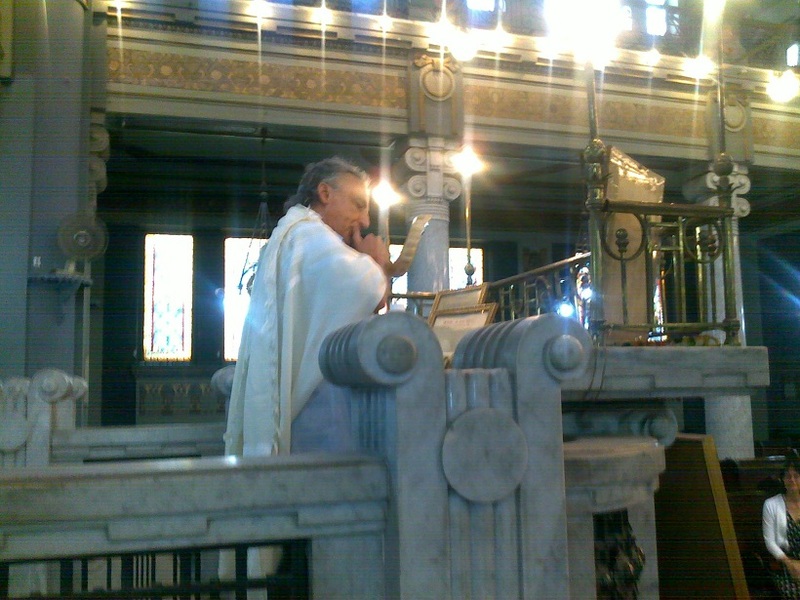 In 1999, as Cardinal of Paris, Jean Marie Lustiger took part in reading of the names of France's day of remembrance of Jews who had been deported and murdered. He came to the name of Gesele Lustiger, paused, teared and said, "My Mama!" The effect in France during a time of revived anti-Semitism was electric. "I was born Jewish and so I remain, even if that is unacceptable for many. For me, the vocation of Israel is bringing light to the goyim. That is my hope and I believe that Christianity is the means for achieving it." There were a great number of Rabbi's who consider his conversion a betrayal, especially after so many European Jews so narrowly escaped extinction. Cardinal Lustiger replied, "To say that I am no longer a Jew is like denying my father and mother, my grandfathers and grandmothers. I am as Jewish as all other members of my family that were butchered inAuschwitz and other camps." He confessed to a biographer that he had a spiritual crisis in the 1970's provoked by persistent anti-Semitism in France. He studied Hebrew and considered emigrating. He said, "I thought that I had finished what I had to do here and I might find new meaning inIsrael." But just at that time the Pope appointed him bishop of Orleans. He found purpose in the plight of immigrant workers. Then he was elevated Cardinal, the Archbishop of Paris. Jean Marie Lustiger was close to the Pope. They shared a doctrinal conservatism. He also battled bigotry and totalitarianism. For years, Cardinal Lustiger's name was among those who was considered to succeed John Paul. Without putting himself forth, the Cardinal joked that few things would bedevil bigots more that a Jewish Pope. "They don't like to admit it, but what Christians believe, they got through Jews." 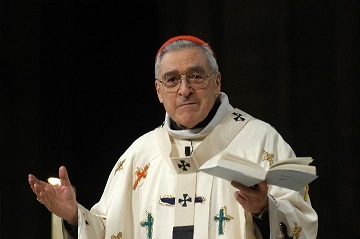 The [10 August 2007] funeral for Cardinal Lustiger began at Notre Dame Cathedral yesterday with the chanting of Kaddish, the Jewish prayer for the dead. BN is looking for photos of the members of the 1916-24 ASHKENAZI JEWISH COUNCIL IN CAIRO which was made up of the following persons. If any of their living grandchildren sees the above, we welcome your assitance in providing BN with photos. 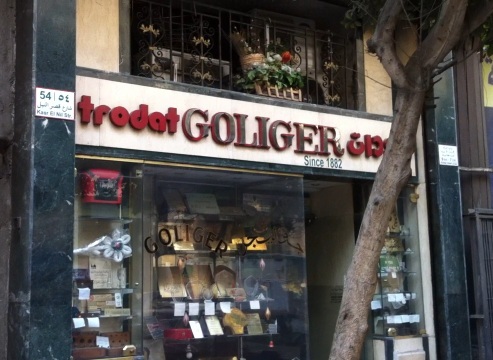 A shop dealing in engravings on Kasr El Nil Street in downtown Cairo still bearing the surname of its former Roumanian owner(s) Leopold, Samuel and Alexander Goliger, members of Cairo's Ashkenazi community and today (2013) owned by a former employee of the above.